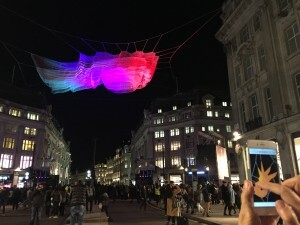 January saw us installing Janet Echelman’s brand new work ‘1.8 London’ over the top of Oxford Circus, London as part of Lumiere London. 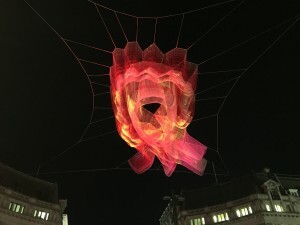 We were responsible for the projection mapping, lighting design, wifi infrastructure and creating an interactive web app that allowed visitors to influence the colour of the sculpture and then create rippling water and fire effects over it’s surface. 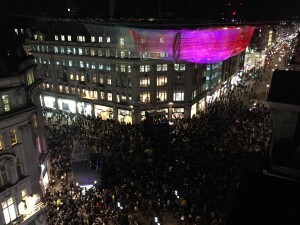 The public’s response to the work was incredible.